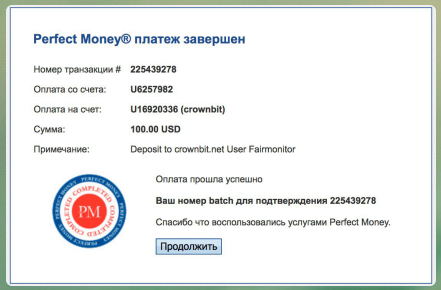 crownbit	+1.8	Received Payment 1.8 USD from account U16920336. Memo: API Payment. Withdraw to Fairmonitor from crownbit.net.